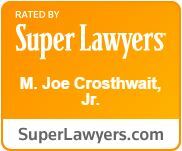 Midwest City Law Firm, The Crosthwait Law Firm A Professional Corporation | What happens when you die without a will? Without a will or trust you have no say in the disposition of your own assets in the event of your death. Your assets will pass pursuant to Oklahoma intestacy laws and could even escheat (or revert) to the State. It is important to recognize that if you die intestate, i.e., without a will, your estate will still likely go through the probate process, and a Judge will appoint a Personal Representative/Administrator to serve on your behalf in accordance with Oklahoma law, which may or may not be the individual you would choose to administer your estate. Intestacy laws generally require that upon death your assets will pass to your closest living relatives in shares according to their degree of kinship, regardless of your intended disposition. Many individuals do not recognize the importance of establishing an estate plan or the massive implications for improperly setting up one, or simply not having one at all. Contact The Crosthwait Law Firm today so we can help you set up an estate plan to fit your individual needs.